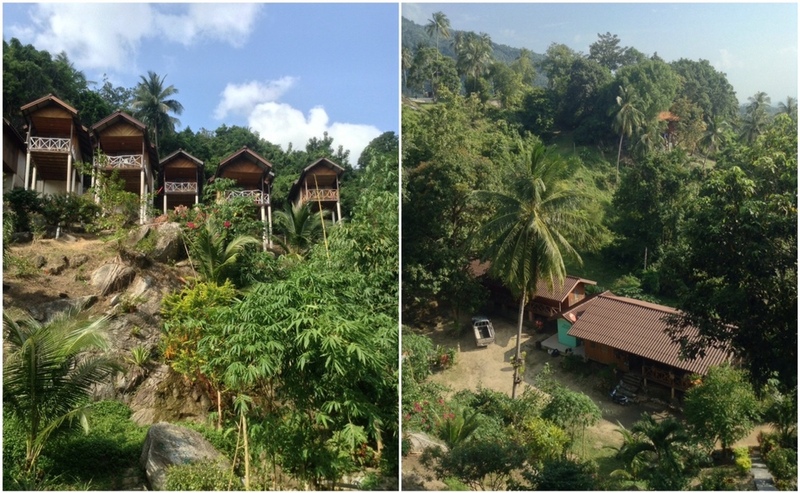 These were the beautiful huts we stayed in for 3 nights (Secret Hut) - walking up the stone steps definitely takes it out of you but the view more than made up for it. The room was spacious enough and we had our own balcony in which to admire the scenery. The staff were really helpful and offered a taxi service in their pick up (second photo) whenever we needed for around 100thb each, which was handy as the location was not as close to the beach as their listing says online!